Build your business with the right tools. Here’s a list of game-changing tools that can increase productivity, improve performance and move your business to where you want it to be. How powerful is Skype for every internet marketer? 02:45 – What tools are you using in your business? 04:28 – What is your scenario? 09:48 – Is LinkedIn the push marketer’s paradise? 11:56 – What tool is a game changer? 34:25 – What’s the story behind the “Rode NT” name? 37:34 – What camera should you use? Use tools according to your business scenario. [Click To Tweet]. A tool every Internet marketer should have. [Click To Tweet]. The biggest game-changing tool. [Click To Tweet]. Routine sets you free. [Click To Tweet]. Are you using these powerful B2B tools? [Click To Tweet]. James: So what are you doing now that you’re changing? Luke: [laughs] I’m basically contracting. I’ve been contracted back to the same mob that I was working for, which is essentially a global security anti-virus business. Luke: And yeah, just I guess, starting to build up some additional clients as well. James: Nice! You’re now basically a freelance consultant. Luke: What about you? What have you been up to? James: Stable living, I suppose is the best answer. Just doing the same stuff as I’ve been doing for the last 6 years I just worked out since I quit work. And that’s just melding my business around my lifestyle and trying to fine-tune that to perfection. I’m getting much closer. Decent sort of working hours versus non-work related activities from surfing and reading and watching movies and stuff. Luke: And you’re living in Manly now, is that right? James: Yeah, at Manly. Overlooking the beach, and I go out every day and see the ocean. It’s great. Luke: So you’re living the dream. James: Living the dream, a self-created dream though. Luke: [laughs] Well, that’s awesome mate. Good to hear that. Good stuff. James: So, last time we recorded a tools tips thing, it was quite some time ago. Luke: A long time ago. James: We did a couple of podcasts back then. We’re talking about buying and selling domains, and we did tools tips and stuff. I wonder what’s changed since then. Luke: Yeah. I probably should’ve actually re-listened to the episode that we did, but I think probably for both of us, a lot has probably changed in terms of where we put our time, but yeah, it would be interesting to see what you are using now. James: Well it was July 2012, so it’s about 2 years ago. James: Almost exactly. Like almost within just a couple of weeks. So it’s 2 years down the track, I wonder what’s changed. One thing I thought leading into this was that there would be a lot less tools that I’m using in my business. Luke: Hang on, this is going to take two episodes. James: Well I was thinking, you know maybe I’m not using a lot less tools, but I guess we’ll find out. So I think the important setup here is that we have to consider what type of business we have, and how that’s going to potentially change the types of tools that you or I might use versus our listener. James: OK. So in my case, I am a publisher. So I’m making audios and videos. I have a services business. So that means I have a team. So I’ve got around about 50 people in my business still. So to put it in context, they’re a virtual team in another country. So that’s going to automatically involve certain tools that you might need if you have an office, and most of my customers I’m dealing with in community bases and then I have active discussion on my public-facing blog, with me being a podcaster and blog poster. So that’s pretty much my role. I’m not doing a lot of retail consulting work, I’m not doing software as a service business, but I am dealing in multi-markets. So I’m dealing into different currencies and in different countries. So that’s my overview. Tell us your scenario. Luke: Well I suppose the similarity is particular with my own business is I’m dealing with multi-currencies and obviously multi-countries. I supposed in recent times, I’ve been a manager of a relatively small team or a team of 5. So I use I guess some project management tools there. More recently I suppose I am a very hands-on particularly in terms of analysis. So you know obviously things like Google Analytics even Excel, pivot tables, that sort of stuff, Facebook insights. So probably perhaps a good mix between what you’re doing from a high-level management of a business perspective for, compared to myself is probably, currently very much hands on. So yeah, that will be, I guess some contrast there. James: OK. Well, you know you mentioned one that I don’t even have on my list, sadly, which was Facebook. I was like, there’s just so many that sneak up on you. Why don’t we just attack the social media platforms and websites while we’re at it. James: OK. So I use Google a lot. Surprisingly, how much I use it to look up shops that I’m going to visit or a cafe or an address, or phone number. If someone asks a question I’d usually go and check it or if I ran into an obstacle. It’s amazingly useful and I can see how Google’s become such a popular website. Do you Google stuff? Luke: [laughs] Is that a trick question? Yeah. Look I Google stuff all the time. In fact, yesterday, you mentioned before about multi-currencies and multi-countries. I think yesterday I was using Google Adwords’ preview tool, which basically lets you see what your search engine results look like in other countries. Not only can you choose location but you can also choose language. So yeah, I use Google a lot. I mean Google Webmaster tools, Google apps of course, and Google Analytics. I mean I would spend a large majority of my time using Google tools in various guises I guess. James: I do too. I’m using Google apps for the business. Fantastic for running your email so that you don’t clog up your server, having groups – email groups within a team of 50 is fantastic. So I can just communicate to only the people who I need to. I am using Webmaster tools to keep an eye on our search results and number of indexed pages, and if there’s any warning, or if there’s particular links coming to my site that are interesting, Analytics of course is a benchmark. And a lot of these tools talk to each other and I am running a remarketing cookie but I’m really yet to activate it because I’m sort of on the edge of the type of business that they don’t love. Anything to do with the fact that businesses can make more money is scary to them even though I’m a business profit optimizer and I help people grow their business. I’m as far from a biz op that you could get, but it is still edgy for them. Luke: So that’s an Adwords remarketing cookie, is that what you mean? James: Yeah. I’ve got that but I also use AdRoll and I haven’t really activated that. I’ve just been building my remarketing list and I’m going to turn that on when I have the right occasion such as when I’m running a live event, and I’ll call that business training and I think we’ll be fine with that. Luke: Well you’ve just touched on one of that was on my list as well, which is AdRoll, which is essentially a remarketing network I suppose, James. James: Basically, everyone that visits your site you can tag them and then get in contact with them later by running advertisements in the popular places that they’re at. While we’re on that social thing, I do use Facebook both personally just to post pictures and interact with actual friends, like real friends, and professionally, I have a page. You can get in trouble if you try and sell stuff from your personal profile. In my market space, there’s this epidemic of people who keep posting their mastermind and sales pitches, like long form sales letters in their personal feed, and it’s kind of annoying. Luke: I think my friends would unfriend me. James: Well what I do is I just turn them to mute, and then eventually I unfriend them. Sometimes, people send me a message, “Dude, we’re not friends anymore. What happened?” I’m like, you happened. Luke: Stop trying to sell to me. James: Twitter I use mainly to gather news. I think it’s the best news aggregator. If something’s happening anywhere, it’s going to just pop up on Twitter really quickly. So I’m mostly subscribes to news services. And Instagram, I’ve really only started using since I became a surfer, because that’s the medium of choice in that market. So I’m using it just as a consumer and I’m not really using it as a marketing or a business tool but I know some people do. It’s not easy to put links or to sell from, but it’s a great way to build audience. I don’t really use Pinterest or LinkedIn much. Actually, I dislike LinkedIn. Luke: I use LinkedIn a lot. I suppose going back through the list that you’ve just mentioned, yeah certainly LinkedIn. I suppose from a B2B and I guess personal branding perspective and I suppose it’s really, if I was to be honest, it’s probably more of a push medium for me. I mean that’s not completely true. It seems to be a push marketer’s paradise and it’s definitely, if you’re a consultant, or in a business scene, or if you wear a shirt with collar on it and buttons or a tie or a suit, it’s definitely going to be your market. Or if you’re business-to-business, you’ve got to be on LinkedIn. Luke: Yeah that’s true. I certainly found it a good tool to be able to get in touch with people who you probably wouldn’t normally have access to. And not just from a selling medium. I mean even just from a… sort of what you’re doing, I would like your opinion on X Y Z, and I guess it’s a good way to get in touch with people and start networking with people like that. Going back to Facebook James, I mean I’ve certainly been using Facebook ads and I’ve been, I guess really pleasantly surprised at the success in certain issues. I think it’s a very, very powerful advertising tool. It’s a lot, once again it depends on the niche, but it’s a lot cheaper than Adwords in certain areas. And Facebook Insights is also very powerful just to narrow down your target audience and actually see the sorts of numbers that you can potentially market to within certain areas. I mean we’re from Australia, you also got to keep in mind that there’s currently 13 million active Australian users, which is about half the population. So that is a pretty powerful tool. James: Yeah that’s tricky. Let’s rip into some real meaty stuff. Are you ready? James: Since we last spoke, I mean the last couple of years, what tool has just been a game changer for you? Luke: Game changer. I’m looking through my list, funnily enough; I’m sitting here in front of Evernote. I think that’s probably a game changer for me. Recording everything, any note that I take goes into Evernote. It’s searchable. It’s on my phone, it’s on my iPad, it’s on my laptop. So I think that’s probably one of the game changers for me. James: Yeah, I’m a big fan of it too. Heaven forbid anyone who hasn’t heard of it, but it’s basically like a massive filing cabinet where you can have as many drawers as you want and you can just drag stuff into it – pictures, documents; and it works on any device. I love it. That’s what I’m using right now as well. When we discussed the idea of this episode, I just opened up an Evernote, I called it “Tools with Luke Moulton,” and I just started brainstorming ideas. OK.
James: So we have here… ScheduleOnce on mine has been a game changer. Luke: What’s that? What’s that one? James: It’s like TimeTrade. It’s just a calendar booking engine. Luke: And which is what the link that you sent me to, I guess to book in this podcast episode. James: Exactly, exactly. And I’ll tell you how it’s been so powerful. It’s worth talking about because the first notion of entrepreneurs when you quit your job is that you are free now, and you’re free of the shackles of a schedule and rosters and working for the man. The reality is that routine sets you free. And when all of your time is available, it’s really hard to moderate. You know, “Can we just catch up?” or “Hey, want to come for coffee?” or “Are you free today?” or “Can I speak with you next week?” Suddenly a calendar can get choked up again and before you know it, you’re just all over the place and all the time that you’re awake is on time and there’s no off time. Now what’s ScheduleOnce or TimeTrade does is it defines automatically when you are available, and when you’re not available. And you get to pre-determine that. So it’s the perfect time scheduling way of going about things. So for me, I block Wednesday and Thursday. I have a morning block and an afternoon block that people can book that they can actually select even a time, I give them options. It has to be options, that could be 20 minutes, could be 50 minutes or anything in 10 minute increments. And then it also allows a buffer between appointments for you to have a drink or get refreshed. And if someone’s booked a spot, then it doesn’t show available on the calendar and then you can say, “Look, I don’t want any surprise appointments. Don’t let anyone book within 24 hours of the appointment.” So you’re not gone to sleep and wake up and suddenly all days lit up like a Christmas tree. And this has just been fantastic and this way, now when I get asked to be a guest on a podcast or something in our helpdesk, my team can go and check out the podcast of the person inviting me and I’ll make sure that it’s approved and that it’s suitable, and they’ve interviewed other people and the site looks professional. Then I’ll just send them the link to my schedule. I don’t have to get involved. The only time I get involved is when I get the reminder that there’s an appointment, and then I just turn up at the appointed time, but remember, I decided that I want to be available at that appointed time. If I’m going away I block that out and it talks to my Google calendar, which is synchronized with my iCal. So when someone books the appointment, it automatically appears in Google, and it automatically appears on all of my devices. James: I love this tool. Luke: Yeah, it’s one I have to check out. James: Massively big game changer for me because you know what, since I’ve had this tool, I’ve had Mondays and Fridays off. I don’t have any interactions with other people on those days. That’s my productive days. It’s my rest day and my work is stacked for Tuesday, Wednesday, Thursday these days. Luke: So what do you do on your Mondays and Fridays? James: Well every day I surf. On Mondays I’ll typically rest. I’ll just pace myself. I will have a nice lunch, I’ll maybe get a haircut, read a Kindle, go through some emails. Luke: This is bizarre change. Two years ago, I would not have heard of this. Are you OK? James: I know. I’ve definitely transformed. I’ve halved my work week and I’m healthier and I’m really getting into the routine of things. So this is the tool that does that. James: OK. I’m still a huge fan of ScreenFlow. Luke: Yes, definitely. For sure. James: Also, being a Mac user, it’s really the tool of choice for both audio and video. I’m not sure if anyone knows this but for audio, it’s equally as good as Call Recorder. You can record the computer track and your track and you can split the out later for getting just the right volume levels, and it records really well. And these days, my standard operating procedure is to use both. When I do a call like this I’m using ScreenFlow and Call Recorder. So I just bundle those two tools together there. Both for audio in this case, but they both handle video as well. Luke: Yup. One that interesting that I just started using, I think it’s Mac app, it’s probably available on Windows, it’s called Reflector. So you can actually reflect what you’re doing on an iPhone or an iPad. So you can basically do a screen recording of what you’re doing on an iPhone or iPad and then actually record that with ScreenFlow. So that’s a good one for doing demos. James: A stylus, that’s it! If you have the Paper app on an iPad and you use Reflector, you can have beautiful pictures. James: Yeah. OK. So GoToMeeting is just a monster still for me. It’s just the ultimate in conferencing, and we have a team of 50. So they meet every day on this. And we go past the limit of GoToMeeting. So GoToWebinar is sort of the enhanced version. Luke: Which gives you up to thousand…? James: A thousand on my plan. Now I’m on an autoplan which is cheaper. But if you’re running webinars, it’s still the industry’s standard. There’s so many products that have come out, and then sort of faded away. And since we spoke, I suppose Google Hangouts has become more popular. But I’m not into it. I don’t use it, I don’t like it. Luke: Yeah, me either. I’m with you. James: Right. It’s classic. 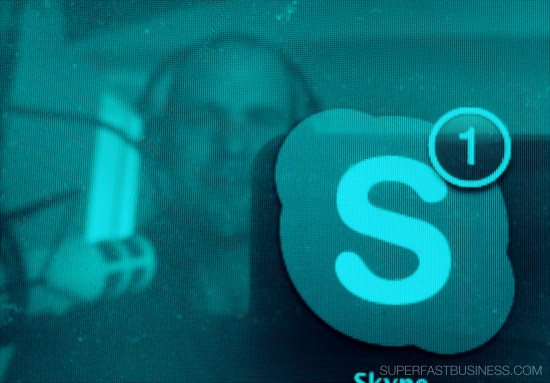 So Skype still seems to be a world dominator. I’m using it in a few ways. Obviously for calls like this, you getting that voice over Internet. It’s a good quality. It works on most Internet connections but I’m also using Skype in phone numbers on my websites. So I hire a phone number in different countries; I’ve got a UK number, a US number, and an Australian number and then that redirects to my Skype. So if someone calls my website it redirects to Skype. If Skype’s on, I can answer it. The cool thing about that is that I can record that with Call Recorder and when I’m finished, I can split out my side of the conversation and I can send my side of the conversation to my team, who can then update our frequently asked questions and they can improve our website copy. I’m not recording the customer, I’m just recording me. So there’s no worry about it for getting leaked out or whatever, and I don’t have to disclose that. And this has been a really nice little customer service optimization technique. And the Skype in number is very effective and if my Skype’s turned off, then it actually then redirects to my mobile phone, which if I’m there I’ll answer and if I’m not, it goes to voice message where I’ll tell people how they can get support further – support desk or they could just send me an email if it’s something private or I can call them back. So that’s my customer service thing on a very small scale. Luke: Brilliant! Good tip. I love that one. That’s awesome and powerful. James: Yeah. Alright, you could chip something in. Luke: Yeah, for sure. You mentioned before how you were using Twitter as I guess your news aggregation service. One that I use almost daily is Feedly. So Feedly is an RSS reader essentially, which I use daily. And it also syncs with a lot of other apps, but the other one that I use that goes hand in hand with Feedly is Buffer app. And Buffer app is essentially allows you to, I suppose when perhaps, I don’t know about you James, but in one sitting I usually sit down and do my reading of the day in the morning or whenever. I guess I chunk things and stuff that I find interesting on Feedly, I want to put into my social media feeds, so whether it be Twitter, Facebook, LinkedIn. And I guess one of the beauties of the Buffer app is it allows you to essentially schedule those posts so you can dump a whole lot of stuff into Buffer app, and instead of I guess spamming everyone on Facebook and Twitter and LinkedIn, Buffer app will actually drip feed you social media profiles. So those are two that I use hand in hand dailly. James: How do you get from Feedly to Buffer? Luke: So Feedly actually has a, I guess, a Buffer app can be built in to Feedly. So there’s just a little button that you press that comes up with Buffer, and Buffer comes up and you can basically customize your message based on, it’ll obviously automatically pull the title of the particular post and then you just choose the social media profiles that you want it to go out to, hit send and it’ll actually queue that message to go out. And I suppose one of the powerful things is that you can use it for multiple social media profiles. So I also have for example, some Facebook pages that I run that are completely different to the business, to my own personal business. And if I find something interesting along the lines of, I guess that those Facebook followers would be interested in, I can also just pop that into Buffer and choose that particular social media profile. James: Oh that’s great. Yeah, I’ve heard a lot about Buffer and I haven’t been using it. So I think that will be one action step after this. Luke: Yeah. And it’s got a really good free plan. But if you want a heap more feeds for it to plugin to, I think it’s only about 10 bucks a month. James: Right. OK. So next on my list is probably a super obvious one but it’s having a fast ISP. It’s something I struggled with for years, what, 3 years, 4 years of having really crappy Internet. And I think a lot of people don’t realize but there are faster plans available than what you can see on most of the websites. I’m on a plan with Telstra called the Ultimate. And it’s 115 downloads. It’s not published. And I had to sort of dig around a bit to ask for it and it’s very fast and it literally changes my ability to be productive because sites load instantly, I can just move through forums really fast. So anyone in an area where they are on a sort of a budget plan who increases the speed to the highest available is probably going to experience a productivity lift. Luke: Oh fantastic. Don’t talk to me about ISPs. I live in an area in Victoria that is not that remote but I cannot get a DSL. James: Can you get 4g? Luke: On a good day. James: Right. So I was using a Telstra 4g, which was giving me a faster Internet than I could get through the ADSL1. My average internet there was like 1 1/2. It was infuriating. Luke: I have multiple wireless plans, which is expensive, but I suppose when you choose to leave somewhere for the last hour, you pay the price. James: Right. So in the majority of people listening to this will probably have faster options than what they’re using now and try it, it will change the game. On a similar note, when I travel now, I’m using a little wireless, a portable wireless, especially in the U.S. and the Philippines. It’s about the size of an iPhone I suppose, little portable WIFIs. I’ve got three now, I have 1one in Australia, one in the Philippines, and one for the US. And when I go there, the US one has a Verizon, I just turn my phone on, I turn on the WiFi device, and then I just top it up. Anywhere I go I think I can get 10 gigs at a time for 90 bucks and that will last me while I’m in the States. And then I can use my laptop, my iPhone, my iPad. The thing is it handles up to 10 devices, i don’t have to use hotel connections, I don’t have to use cafes, I’m not using someone else’s network and putting my data across it. Luke: Nice, nice. So one of the ones that I’ve been using recently James, it probably goes into a little bit different from, I guess your average business tool; but it’s called Adbeat. So Adbeat, there’s also another similar one called WhatRunsWhere, and essentially it’s kind of a spying tool to see what your competitors are doing in the display advertising space. So if you’re doing a lot of Google Adwords display and you’re wanting to improve, I guess your banner ads and the performance of your banner ads, Adbeat and WhatRunsWhere will give you some inspiration around what other people are doing. I use it fairly regularly; I mean I do a reasonable amount of display of advertising so they’re pretty powerful tools. James: Nice one. I guess the closest tool I would use to something like that is SimilarWeb.com. And it’s not so much the advertising one, but it’s more of a little bit of a spy on a website to see where the traffic’s coming. If there are ads, it does bring up stuff. It shows you the main topics in thought clouds and all sorts of other really cool stuff, especially that ranking and traffic. It’s like Alexa. Luke: Nice. Now James, these days, what are you using to run your websites and your email? What platform are you using these days? James: So I’m using a dedicated server with Liquid Web. On that we run it’s called Nginx or something like that, I’m not techie obviously. I think it’s Nginx, but it’s like this caching thing that makes it fast. I have a couple of dedicated servers and I’ve split my two most important websites across those two. Really fast, high quality, good stuff. And for email, I’m using the Google apps so that I’m not running it through my server. And for media, I’m using Wistia to serve all of my videos, I’m using Amazon s3 to serve my podcast and I’ve ticked the Cloudfront option because it speeds it up and I also host quite a lot of images on Amazon for my forums. Luke: Are you using a CRM at all? James: I use OfficeAutoPilot. I’m still in the legacy version. It hasn’t become Ontraport for me but it is for the new members. Luke: Yup. And how do you find that? I still use Nanacast, which I’ve done around $7 million worth of sales with that cart so far, it’s been really good. So I’ve got the shopping cart talking to OfficeAutoPilot. And for my forum platforms, I’ve actually recently switched from vBulletin across to XenForo because I was told that a lot of the vBulletin developers started up XenForo, and that’s where the features and the new cool stuff like trophies and a better user interface and it loads fast; that’s where the features are going to come from in the future. I tried to move my vBulletin up to version 5 from 4.2 and it was terrible. So I went across to XenForo and everyone loves it. It’s got a way better native display in phones and it’s really smooth and nice to use. Luke: Nice, nice. Yeah certainly, I don’t have a setup in any way yours is set up but, I suppose in terms of email, MailChimp is my preferred platform. I think it’s an awesome service and once again I’ve got a pretty good free base product, and it’s kind of a software as a service with a sense of humor. Their copy and their interface, I think it’s just beautiful and easy to use. James: I’ve heard that, most of the customers I have are having trouble with automations and sequences. It’s just not letting them move people around interests, or abandonment follow ups and stuff are just not as coordinated. Luke: No I’ve noticed they’ve gone to some other platforms. James: But I have heard a lot of good things about Active Campaign. James: And that’s supposed to be similar to MailChimp but has more functionality like Ontraport and that’s the other one people are talking about. Luke: I have to check it out. James: And it’s still, a good chunk of my audience are using InfusionSoft; still hasn’t grabbed me yet. It seems complex. I can’t talk too much about the tools, I don’t use them, I stick to the ones I do. Let’s do a round of hardware. Right, what’s your primary device for making all this Internet business happen? Luke: A little Macbook Air, which is a beautiful piece of technology. I’m sitting in front of it right now. But aside from that, an iPad mini, I love the phone factor and once again, it’s something that I use Feedly on a lot, I guess reading my RSS. What else? That’s really my day to day, it’s sitting in front of this little Macbook Air with an additional live screen monitor. James: Is it 11 or 13? James: Right. I was using an Air but my screen flows were getting a bit sticky when I was putting videos in there. So I’m using a 13″ Retina Pro. James: It’s giving me a very good resolution to look at websites ’cause we update our template a fair bit. Great for editing videos if I do that occasionally but I tend not to these days. Since I bought this, my workflow has changed a little bit. But I needed the power for recording things like this ’cause it’s a workhorse. I’m using an external monitor as well, I think it’s a 27″ LED, and my iPad mini Retina is great for reading Kindles and for drawing cool stuff on Paper, and I use an iPhone 5s. In Australia, most phones are iPhones. In the US, most of them are androids. Luke: People certainly in Europe are heavy on Android, which is interesting. I’m certainly looking forward to the next iPhone, I’d like to go to a larger screen and I’ve resisted the urge to move over to Samsung but I certainly find my day to day, I’m not using a phone to take calls. It’s more for browsing and looking at news feeds. I think a larger-sized phone if and when Apple brings one out in September, I’m certainly looking forward to it. James: I’m very happy with mine. Actually, now when I travel I use a Rode smartLav as my microphone, and I’d leave the zoom at home. I’m not using that anymore. I use the zoom as a backup at home for recording a podcast if I’ve only got one other recording device. But I’m just plugging a Rode smartLav into my iPad or my iPhone, and I’m recording on that and then I render it using an app that lets you do the contrast and background and color adjustments right there in the phone, and then I export it. So the app that I’m using for that, there’s a few that have similar names so you’ve got to be careful with this, but I would link to it in the shownotes, it’s called TiltShift video, and it’s just really cool. You just grab the video from your library and then you can make the blurry background as if it’s a 50mm lens. So that’s my travel kit – it’s really just iPhone and Rode smartLav, and for that I’ve been all sorts of places overseas like Buddhist Temple in Thailand and stuff. It’s really easy to make a little selfie video with just the iPhone and the smartLav clipped on your t-shirt. You don’t have to carry around a big DSLR, you don’t have to have chunky recording devices. So that’s my portable recording kit these days. It’s really lean. Luke: And Rode is I believe and Australian brand, too, James. James: That is. And did we tell you the story last time? I can’t remember. That Rode was short for rodent. James: Well apparently the guy that made it, the inventor, the first one was Rode NT1. And apparently he was so frustrated with the microphones in the market that he ended up just caving in and making his own one, and it was so good that they were selling like a rat up a drainpipe. And then the rat reference came to rodent. Luke: Very nice, didn’t know that. James: So RODE-NT. And rodent is, that’s basically a little rat. Now I’m recording this on a Rode podcaster mic, which is my absolute favorite USB microphone, filters out noise beautifully; you probably can’t hear the surf in the background. And it’s such a good home office microphone. Luke: Nice. I usually use a Blue Yeti but I’m actually onsite at the moment, hopefully you can’t hear the builders in the room next to me. For the time, I’ve just done a basic headset for the moment, so apologies for the sound quality. James: It’s actually pretty good. And a lot of the webinars that I run all use that ’cause I’m quite often away and I will just use the Apple laptop and the headphones that you get with an iPhone and that’ll do the job. Luke: Yeah exactly. Now I mean we’ve talked a lot about recording certain types of media. Now how do you get that to your team? What are you dropping it into? James: Now, since we spoke last time and there’s been a lot of pressure from Google Drive and a few others, but I find the Dropbox interface just easier the way that it looks like a normal file. It’s not owned by Google I think is probably a good thing. It’s really just a glove that fits around Amazon s3, it’s the way that I’ve heard about it. We use team Dropbox, which gives us the ability to create a folder for everyone in the business. They can use that for work and they can be linked to it. And if they leave, we can transfer their stuff back to someone else. Luke: Yeah. And that’s awesome. I use it daily in fact. James: And I love that you can share a link now, so you can drag it into Dropbox. I’ve got a Dropbox called public and I just put things I want to share in there and then create a link for it. And then I can post the link for people to go and grab stuff. Luke: Yeah, which is brilliant. And they don’t even have to have Dropbox. I mean interestingly, we were talking before about recording using Reflector and ScreenFlow, and it’s something I did for my dad recently. James: Beautiful. Now I’m using that for everything, from my accountant through to a friend who I took a photograph of in the surf. Just Dropbox direct link to the picture. While we’re still on equipment, for my weekly news videos, for the internal members, I’m actually just using a USB camera, a C920 Logitech, and that is a high definition camera that plugs straight into ScreenFlow. So with the good quality mic and the good quality camera, I’m getting much better quality than just going straight off the laptop. When I’m away, I’m using the iPad and the smartLav, and if I’m doing a high quality news video, then I’ll break out the Canon DSLR. I’m still using a 60D, but I have upgraded the lens to a 50mm 1.2 since we last spoke. Luke: I have a 50D that I use fairly occasionally, but yeah, they’re great cameras for video. James: Then I switched over to a boom pole mic. I’ve got the Rode NTG3 microphone, and it runs into a Beachtek mixer, that then plugs into the Canon. So now I can get the sound, I have the mic just near my head pointing to my chest, going straight past my mouth, so I get a really good sound and it’s feeding straight into the memory card with the videos. So there’s no split track, again I just pull the SD card out of the Canon, stick it into the Mac and drag the raw file into Dropbox and my team will go and edit it. James: OK. WordPress for my websites, still loving WordPress. These days we customize all of our themes and we even sell our themes now as pre-done themes because so many people like our themes; it’s become a growing part of our business. Luke: I have noticed. And how is that going? James: Wonderfully. We have a really strong team there. As we’re recording this, I think we’ve added about 10 pre-done themes in the last week, for different markets from cosmetic dentistry to plumbing. So we’re addressing the verticals and for $299, we’re helping people install it, get up their hosting and integrate their opt-in, and they’re up and running. So now I don’t encourage anyone to learn how to build a WordPress site. I don’t think you should. I think it’s a waste of energy when you can have someone do it for you. Luke: Oh yeah, exactly. You should be focusing on your content and getting someone else to push it out for you. It is so easy to get a basic WordPress website up, but customizing it can take a lot of time and energy and that’s probably wasted for someone who doesn’t know how to do it. James: Now what about browsing, what do you use for that? Luke: Chrome, I’m using Chrome. It’s got some great plugins, particularly some good SEO plugins. So I use that perhaps just going back about some WordPress websites. I guess one of the more powerful tools that I use is Optimizely, which is essentially a split testing tool for conversion rate optimization. So basically, it’s one that will work with pretty much any website, not just WordPress but it allows you to test different versions of pages to see what converts best. So I think Optimizely is certainly a powerful tool, but yeah, certainly in terms of browsing. I use Chrome but I do also use Firefox as well from time to time, but yeah, most time it would be Chrome. What about you? James: And I’ve got an iMedia Converter Deluxe, it just basically lets me grab any video that I find on the Internet, if I want to watch it on my own time. Luke: Yeah, plugin for Gmail? James: Yup. SEOquake, that’s about it. I don’t like having too much stuff on there. But it’s a good experience. Chrome is still super easy to use. Luke: Yup. Once again, that app I mentioned before, Buffer app, also, it has an extension for Chrome so anything that you use, see that you want to share; there’s a little Buffer app that you can use and publish out to your social media network. James: Very nice. Now I use Visual Website Optimizer for split testing, which would be similar to Optimizely. But right now I’ve let my subscription lapse, because I’ve been doing most of my testing with LeadPages. And that’s been probably the biggest changing tool since we spoke last, it’s just exploded onto the scene. Luke: And that is dedicated WordPress, is it? James: LeadPages is an online app that builds pages that get opt-ins. But it also has features like LeadLinks and LeadBoxes. So you can turn any picture on your website into an opt-in, you can turn any link into an opt-in, and it’s hosted externally. But you can pull it into WordPress. So you can have it running from your site, but it doesn’t have to be. James: And that is the best way to collect opt-ins. We put PDF transcriptions under all the posts, so even this episode would be transcribed, and the PDF would be downloadable. When you click on the Download the PDF, it’ll prompt for an email address. That’s a LeadBox feature. But importantly, it allows you to split test inside LeadPages. So I haven’t been using the Visual Website Optimizer as much. I’ve been just using everything in the LeadPages suite. Luke: Very nice. Very nice. James: I think it’s like one of the first tools an online marketer should have, because collecting an email list is critical. Luke: Absolutely. Absolutely, couldn’t agree more. James: And they’re serving their stuff from Google’s server, so they’re very fast, they load quickly, and they have a marketplace that actually show the highest converting templates, and they have really good built-in analytics. Luke: Fantastic. Yeah, it’s certainly one I’ve been seeing, but not used. James: You’ve definitely got to get into it. In fact, my webinar template was the highest converting template in LeadPages for a long time. James: It’s still in the top two, I think. James: So what else have we got here? Support – I’m still using Zendesk. James: They keep updating the platform, it’s got a new interface, it works really well on mobile, it integrates with LiveChat Inc…. James: …superbly, and it’s externally hosted, so it’s always up and reliable. Luke: And just going back to LiveChat, James, perhaps describe what LiveChat is. James: LiveChat Inc., it’s a little widget you can put on your site, you can have a console from your desktop or online or your mobile, and you can have someone answering questions. It’s really good. You can trigger it, if someone stays on a certain page, it can pop up a call to action. If they move through a certain sequence or they’re on a page for a certain amount of time, it can pop up. If they’re not there then it can just have a Leave a Message display and people can click on it and then push a ticket into Zendesk. And we’re answering about 45 a day. Luke: Really powerful tool, and I think one of the interesting things is if you actually hook it up with Google Analytics, you can actually see how well people convert after they’ve had, I guess, a LiveChat experience with someone. I think that’s one of the really powerful things about it certainly. Most decent live chat services will have that feature as well. James: Fantastic. In terms of collecting the money, which is really important, my main tools that I’m using… We do all of our accounting with Xero. James: For my oldest customer, the ones that I’ve had for six and a half years now, I’m using FreshBooks. James: That actually mails them an invoice. Luke: And you can tell when they’ve seen it, which is nice, too. James: Shows when they’ve seen it, it literally prints it off and posts it to them and they send me back a check with the receipt stub stapled to it. Old school. I just got one today. So FreshBooks is fantastic for that. I’m using PayPal for a good chunk of my revenue, and I think not having PayPal, you’re probably missing out if you’re in a business to consumer market, because they used to make you have PayPal if you used eBay, and most people have used that at some point. And I’m using credit cards for the other half. So both of those, I’m doing over seven figures a year in sales through them, and my tip there is ask for a discount. Luke: Which is very competitive compared to the credit card rates. James: Credit cards, depending on which currency. The Australian one is very low, but the U.S. dollar one, you can only really do through National Australia Bank in Australia, or use the PayPal thing. But there’s a new entrant in the market, and that’s Stripe. James: And that’s really popular with software companies and a lot of people in my community are using it. And Stripe’s probably the easiest way to get up and running with credit cards right now in multi-currency. Luke: Yup. I think one of the important things, particularly, I guess about PayPal, is the ease of use for people who are using mobile devices. I’ve certainly seen conversion rates on, for people who are using a mobile phone increase when you have PayPal as a payment option, because you don’t have to type in your credit card number, and then expiry date, and the CVV on the back. With PayPal, it’s just email address and password, so it makes mobile transactions much much easier. James: You’re right, and I’ve found that even though I default mine to credit card on my checkout, 30% of the people will roll it back to PayPal. Luke: Yeah, and even PayPal will say that. it’s pretty much an industry standard. They get 25 to 30% of people will opt for PayPal. James: There you go. Well, my results show that to be true. James: If you’re going to go the difficult, old school way of credit card, then you have to, in my case, I’ve got to use NAB for U.S. dollars, and then I have to have something like eWAY to talk to my shopping cart. eWAY are just fantastic. Luke: And they’ve been around for a long time, too. James: Amazing service, fantastic reporting, it’s a really good service. I think Stripe’s going to put some pressure on this market. Luke: Yeah. Yeah, for sure. James: Putler. If you’re going to use PayPal, use Putler. Luke: I reckon that’s one you did mention last time we talked, James. I know it’s been in your arsenal for a while now. James: It’s such a powerful tool. It shows you what percentage of your business is recurring, it shows you your sales details, it shows you your top customers. Like it literally just… who spent the most money, where do I get the most money? And you just phone the top ten. Luke: It’s like analytics for PayPal, essentially. James: it is. Now if you’re using Xero, I think you can use Peoplemine, and get similar stuff. If you’re using Stripe, you can use Baremetrics. But it’s really important that you get some kind of financial analysis tool so that you can look at your top products, your top customers, your churn rate, your retention, refunds, etc. So I’m still running at around about 1% refunds across my entire business. And that’s usually just billing, administration errors, like someone lets their bill go one day and they go “Oh, oops, I forgot I was supposed to unsubscribe, could you just send it back?” It’s like, silly stuff. James: Pingdom. I use that just to let me know if my website’s offline for some reason. I want to know immediately, because it’s going to cost me money. Luke: Exactly. Yeah, Pingdom’s a good one. James: They also have a nice speed test tool for your website. Luke: And they’ll send you SMS messages as well as emails, as well as having an option that will send you push messages as well. James: And bang for buck, Crazy Egg is still just amazing for just putting your most important page there and having a heat map on it. And I’ve used that tool for years and years to refine and refine my navigation. I can lift my opt-in percentages; I can sell more product by removing superfluous navigation. See, I thought I’d drop a big word in today. Luke: Superfluous. Word of the day. Nice. James: Yeah. You use Crazy Egg? Luke: I have used Crazy Egg. I actually moved over to Clicktale, and from memory the main reason was they can do form abandonment tracking. So I think that was the only reason for moving over to Clicktale. I think Crazy Egg’s probably got a nicer interface, but yeah, if you want to look at form abandonment in basically almost a screen recording format, then Clicktale’s good for that. James: I used that for a while, and I just found it too complex. Luke: Look, I think it is clunky. Once again, I think Crazy Egg’s got a nice interface and it’s probably easier to use. James: I know that I’ve got my cart abandonment a little bit covered with my automated follow-ups. A simple technique is I took the order form off my sales page, put it on a second page called Checkout, and then made a tracking link. When people click on the Order Now or Get Access or whatever button, that tags them as interested, and then it goes along to check if they bought or not, and if they didn’t buy I start following them up. Luke: There are even slightly more powerful scripts available, and even services available, that as soon as someone types in their email address into a form, and then tabs or clicks on another field, it actually dynamically records the email address. And if they don’t go on to transact, whether they move to the next stage in the cart or not, they go into essentially like an abandoned list that you can then follow up with emails. And that is, cart abandonment emails are extremely powerful. James: Very. I’d say they add 20% more to my sales. Luke: Yeah, and I think some company has done some testing on this, and they find the most effective time to send those emails is usually within an hour of the person going to visiting the cart, 24 hours and 72 hours later. And that sort of 3-sequence email is very effective at getting people back in. James: And let’s talk about alerts, or reputation management. I was using Google Alerts and I still do, but I found they’re not as effective as some of the other ones out there now. There’s two other tools that I’m using. One’s called Mention. Luke: Yes, Mention, I’ve used that one. James: The other one’s Talkwalker Alerts. Luke: I know that one. James: It’s really good, actually. Luke: Certainly one thing about Google Alerts, it doesn’t seem to find many forum mentions. So yeah, I’ll certainly have to have a look at Talkwalker, James. James: Yeah. And you know, you put in your product names, your own name, maybe a competitor’s name, just keep your eye on it… It’s great having someone email you when there’s something interesting happening out there and that’s how I find out when people publish a post where I’ve been a guest or something, and I can go along and answer questions. It’s just intelligent. For videos, I mentioned before, I just absolutely love and adore Wistia. It’s the cleanest, leanest, most analytic-rich, fantastic video player, with the ability to capture emails, with a call to action at the end, with heat mapping tracking and also user behavior analysis. And you can parse emails into the video from your email. You can even now, using another app, called Fuzed app, join your Wistia video to your autoresponder. And now you can track how much of a video someone watches, and then send an email depending on if they watched a lot or a little of it. Luke: Beautiful. That’s a very powerful B2B tool, particularly if you’re doing custom videos for small audiences, where at the end of the day, if it’s a big sale, you want to have the power to be able to automate those processes. James: And the other thing about Fuzed app is you can hook it up to your Dropbox. So what I do when I do a weekly webinar, for example, or a video, I just drag it into Dropbox, and Fuzed app comes along and sweeps the Dropbox and zooms it up to Wistia. So basically, I just export my recording into this particular Dropbox, I’ll go and get dinner or something, come back, open up Wistia, and there’s the video sitting there. And I just cut and paste the code into my community. Luke: Brilliant. I haven’t seen that one, it’s definitely one I’ll be checking out after this. You’ve given me quite a few, James, I’m impressed. James: Well, I‘ve got a couple too. I’m going to be Buffer apping and Feedly-ing. Let’s see. Proxies. Do you ever use a proxy browser? Luke: I do, from time to time. I’ve used HideMyAss. James: I’m glad you said that one. We use that too, the pro version, just for checking search results from time to time, and to see what someone else might see without this user bias. Luke: Yeah, look, as I mentioned, certainly, earlier on, if you don’t want to go out and get a VPN you can use Adwords’ preview tool to have a look at search results in other countries. But if you really want to make sure you’re getting the fair dinkum local experience, then yeah, get a VPN. James: OK, Amazon, Kindle, I love that. I’m fully converted to KIndle now. Luke: Do you actually have a Kindle reader? James: No. Just using my iPad Mini Retina. James: But you can really change the contrast and get it to sort of a sepia and make it less offensive on the eyes. James: You know, we should pull out our iPads and just sort of see what kind of apps we’re running, just out of curiosity. Luke: I don’t have it with me. Luke: Funnily enough, there is a, you know how you can swap through your screens? I was actually organizing the other night, and I do have a screen that is just dedicated to the kids, and Peppa Pig is definitely a feature on it. James: Did you get Flappy Bird before it got pulled? James: Oh good, lucky. One of the handy apps, as a traveller, on my phone, is the Speedtest app, because it’s one of the first things I’ll do when I get to a destination is just to know what I’m dealing with and if it’s likely that I can do business or not. And that’s when we changed a lot of things. I opened up a little PayPal account for one of my team members to buy some of the things we needed from time to time, where it was being held up by me. It’s a good process. OK, for your Mac, sometimes I get kind of choked up. I’m using a little app called Memory Clean. It’s free, and I basically just clean out the cache and stuff to get more grunt into the machine. Luke: Yeah, I use CleanMyMac, which is just probably similar. It also cleans up, sees what kind of files you haven’t opened in a long time, and asks if you want to remove those as well, so that’s definitely one that I use regularly, particularly given that I essentially live on this MacBook Air that doesn’t have a huge hard drive. James: Exactly. And I think iBoostUp does a similar thing. Luke: Yeah. There’s quite a few apps out there. One that I use that I haven’t mentioned yet, which is a project management tool is called Trello, and I have that app both on my, well, basically you can use it on a browser but I’ve also got the app on my iPad and my iPhone and that’s what I use to communicate with my team. It’s essentially, I guess, if you’ve heard of Agile, Agile’s essentially a project management process. It is essentially an agile board, but really it’s just basically a bunch of lists that you can drag tasks from, I guess, one status to the other. Luke: Yes, correct, it is. James: So “Do”, “Doing” and “Done”? James: So here’s the thing. I’m not really using project management tools. I’m just using email to manage my business. Luke: Yup. Well, you have project managers in place, James. James: Exactly right, and that’s an important distinction. I don’t log in to TeamworkPM or Google Docs very often. Only if my team send me something to just scan, like a proposed infographic, or a news thing that they’re working on that they want me to just reword or have a look at. But generally, I can’t remember when I’ve logged in to Teamwork or Basecamp or any of those tools. I’m not interested in it. Now it’s just, I send an email with a specific instruction to my VA, and she can manage whatever system that they want. James: And stepping away from the project management system was a real enabler for me moving forward to the stuff that’s super important. Luke: Yeah. Now James, you’ve always been the king of mindmaps. What are you using at the moment? James: I’m not really using mindmaps. I use a whiteboard a lot, and my Paper app on the iPad. James: And I’m just drawing simple diagrams. The last time I did a mindmap I was using Mindjet on my Mac, which I’ve had forever. I used to like Bubble.us for collaboration with the team, where you can share a mind map. I’ve also used the Google one. Google have really sort of upped their game with their tools. In fact, the last flow chart that I did, I believe someone in my team made it in Google and I just refined it a little bit. James: But I tended to draw on a whiteboard and take a picture, and drag it into Evernote. James: So I’m kind of analog there. And I’ve heard a lot of good things about LucidChart. Luke. Yeah. I use XMind, which is a Mac app, but there’s plenty of tools out there. I suppose I won’t necessarily be hamstrung by the technology. If a whiteboard works, then use that. James: These days, there’s a lot of cut-through with the hand-drawn map. It really stands out. But if I look back at my older courses four or five years ago, I was using a lot of mindmaps, and it was a way to stand out back then. It’s funny how things come around. Luke: Now everyone’s doing it. James: I’m really big on Keynote. I’ve become quite adept at Keynote. I just love it for translating ideas. When I speak, I’ll use mostly just pictures, not even any words on the screen at all, just pictures to convey a message. And then the focus is on me, the presenter. But it’s a great way to build a training webinar, is to just have some diagrams or just some prompts that you can chapterize. Let me see what else we’ve got. Oh, there is, for messaging, one tool that I have been using a little bit is Viber. Luke: Yes! Yeah, yeah, for sure. It’s great, internationally, it’s brilliant. James: I found that the team, a lot of them use that, and it’s kind of like a cross between Skype and iMessage and you can SMS, you can talk, you can do video… It’s got much better emoticons. So it’s a pretty cool platform. Luke: Don’t tell my wife. James: Hahahaha. Yeah, so that’s been good. And I actually use iMessage on my computer more. Anyone with an iPhone, it’s very easy to be communicating with them from a desktop rather than having to pick up the little phone. I don’t have those fast fingers like those young people these days. Luke: Exactly. Yes. I love iMessage on the Mac. It’s brilliant. Hopefully, I think in the next release of OSX, they’re making it so you can message anyone from there, not just people with an iPhone. So looking forward to that. James: That’ll be good, because my surfing buddy said that he would rather poke his eyes out and work a plow in a third world country than use an iPhone. The only way I can communicate with him is to use my phone as SMS. So I’m guessing he doesn’t like the iPhone. I think the last two I want to mention is probably unexpected, but these days, I’ve got a blank pad of white pad, and a pen, and I make notes through almost all of my calls and I’m using my own IP sheets, which are actual pieces of paper, they’re A3 size, and it’s where I capture ideas. And I write them down into a particular framework, and that’s what I turn into modules or training. I leverage them. So I’m using pen and paper more and more in my business, whereas if you go back a few years ago, I was completely paperless, like just a computer, there was no paper or pen in my office. Now I’m using pen and paper every day, and I think that it’s unlocking more of my ability, because I’ve probably had a lot more practice with pen and paper. And I think when you type stuff in Evernote and whatever tools, when you close the monitor or you turn the computer off, it’s sort of gone. But this analog stuff, it’s right there, it’s easy to use any time. Luke: I think also it’s, particularly when you’re sitting in front of someone or on the phone to them, if they hear you clicking away at a keyboard, it’s almost kind of rude. So I think in that way, the pen and paper is still powerful and can be used without, I guess, disconcerting others as well. James: Well, I think I’m equally OK with just updating Evernote. As we’ve been talking I’ve been making a note of which things we’ve talked about and crossing them off, so to speak, in Evernote, very quietly. Because that’s how I do my mastermind. Luke: You’ve got a quiet keyboard or a very good microphone. James: Well both. Every mastermind, I open up an Evernote, I type the main points from the discussion and then after the three calls, I make a summary video. However, if I’m doing a podcast interview, I’ll have a pen open and I’ll jot down ideas and then I can recap at the end and I can come back around. But because I pre-prepared this one on Evernote, I’ve got it there already. But if I was doing it freehand, If I was a guest and they didn’t prompt me, then I’d be making notes to be able to call back on some items. Luke: Nice. Probably one of the last ones I’ll mention, which I essentially live my life out of data dates, it’s essentially a to-do list for Mac, it’s on Mac, and iPad, and I think there may be Windows version. But yeah, I’ve got the memory of a goldfish, so I record everything into things and then try and prioritize either at the end or at the start of each day. James: Right. So I used to use things and then a few years back, I switched to Reminders. Luke: Yup, just the native app on your iPhone? James: It’s native, and that’s what I use for my own standard operating procedures. Luke: Nice. That’s some really powerful stuff that that can do. For example, remind you when you’re at a particular location, which is pretty awesome. James: It’s cool. So I have frameworks in there, and actually that’s where I store my conversation that I have with people whenever they join my mastermind. It’s where I store my diagnostic checklist for when people join, and that’s where I store my 12 weekly cycle, my podcast interview checklist, my how-to-run a mastermind checklist. So anything that’s just for me and not shared with anyone else will be in my Reminders app. And you can easily add things and drag them around. But I’m not using them as a to-do list. I use my whiteboard for that. Luke: Brilliant! Good stuff. James, you certainly shared quite a lot that I even haven’t heard of. In fact, Fuzed app is certainly one I’ll be taking a look at, for sure. James: Fuzed app is created by a fellow Melbournian, the awesome Jake Hower. So it’s good stuff. He’s very technologically savvy. James: He’s actually helping me setup some sequences for my next event, SuperFastBusiness Live. And we’ll have, depending on which options people take, which videos they watch, it will follow up with the correct next thing that we’re going to do. It’s an experiment, a case study and then share it at the event and see what happen. James: Yeah. So I’m so glad you could get back on and update us, and we should do this every 2 years without fail. Luke: Yeah. It was good to talk to you James and I look forward to chatting to you in 2 years’ time. James: Thanks Luke. No, we should catch up a little more often now. Luke: That will be great. All right mate, well thanks for the call and take it easy. Catch you soon, hopefully. Thanks so much for the great podcast James, and Luke. I really enjoyed listening to that. Always great to find new tools and resources. LeadPages looks great but I’m at the beginning of my internet marketing career, so it’s a bit of a luxury right now with the monthly subscription. I’d love to hear a podcast on getting traffic and which platforms and methods you find most affective right now. Leadpages is one of the main things you want fast (the other being an email CRM service). List building is vital. Get traffic from guest podcasts, blogging and Facebook groups. Thanks James. Will look into LeadPages and see if I can justify it. I’ve got too much going on right now trying to release my first info product. I can definitely see how outsourcing helps. I feel like an Octopus juggling 20 balls at the moment. James, awesome as always. Big thanks to both you guys. Mike! Good to see a fellow Moulton. Not many of us around. What amazes me more than anything…. tools are tools. Some are awesome and game changers. However, it surprises me how much you don’t micromanage and back off on the day to day with your team. One of the first tools I often think about when i work with organizations- what is the project management tool we’re going to use? You got me thinking about not getting hung up on the little tools to make things happen. Just keep it simple and get it done. thanks man.